DWL Architects, SmithGroupJJR, and Corgan design passenger experience that connects to the surrounding city and Sonoran desert landscape. The first of a three-part phased modernization of Terminal 3 at Phoenix Sky Harbor International Airport today opened its doors to the public. The design-build team is comprised of DWL Architects + Planners, SmithGroupJJR and Corgan, along with contractor joint-venture HuntAustin. With the modernization project, Arizona’s main transportation hub, Phoenix Sky Harbor International Airport, will become the crown jewel among the Sonoran landscape. Unlike many airports, Phoenix Sky Harbor is uniquely located in the bustling City of Phoenix. It serves more than 40 million passengers every year, and has become a destination for travelers across the world. The City of Phoenix’s Capital Improvement Plan for 2015-2020 was the vision to bring Phoenix Sky Harbor International Airport and surrounding areas into a unified campus. It determined a half billion-dollar modernization to Terminal 3 was needed to accommodate increased passenger flow while also creating a world-class travel experience. The project has three components comprised of renovating the processor building and north concourse, as well as demolishing and building a new south concourse. This, in turn, supports the vision of a multi-modal campus incorporating the PHX Sky Train® and the City’s Light Rail System. The project is being completed in phases to minimize impact to travelers. The biggest challenge during the initial phase of the modernization program was creating a new and open experience from the original closed-in and internally oriented concrete building. 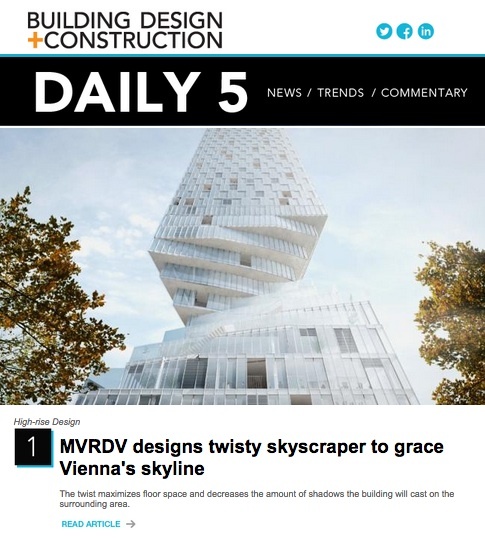 To accommodate the world-class views and provide an open, daylight filled space, the design team manipulated the existing structure by removing large sections of the mezzanine and the pre-cast façade. “We took what was a very inwardly focused building and made it externally focused, celebrating the beautiful Sonoran Desert landscape,” saysMark Roddy, FAIA, LEED AP BD+C, design director, SmithGroupJJR.The structure of the Terminal 3 building remains intact, while a striking, new glass façade now fronts. The arrival experience on the north curb immerses visitors into the Sonoran desert flora with unique vegetation forms. The glass façade on the west encapsulates a cutting-edge, industry-leading facility. The large overhanging pavilion roof, representative of a porch, and west shading is carefully calibrated to reduce glare and heat gain, while maintaining views of the city and landscape. The recomposure atrium provides a unique place for passengers to gather and explore the views of the airfield and the Phoenix Mountains Preserve after passing through security. Located between the north and south concourses, the Great Hall transforms the current passenger hall with higher volumes, views, and natural light, while providing a centralized passenger amenities area. A Museum Gallery has also been added to the terminal. In future phases of the project, new shops and restaurants will open, giving travelers a chance to continue their Arizona experience even after passing through the security checkpoint. At the fourth and top level, skylights offer clear views of the sky and the combination of the glass angle and the gradient opacity of the glass eliminate glare. The result is a space naturally illuminated and connected to the environment. Given the need to create a space to accommodate the vast array of diverse commuters, careful consideration was given to the use of materials to help guide an efficient passenger flow. Wood panels, acoustic metal ceiling panels and the use of six shades of terrazzo flooring provide a natural flow with intuitive wayfinding. Atriums at both the departures and arrivals areas provide transparency, so one can see where they are headed whether through the facility or outdoors. Following the completion of the initial stage will be Phase 2 of the modernization program. Targeted for completion in late 2018/early 2019, it will create a new 15-gate south concourse. New amenities such as food and retail concessions will be added. Finally, Phase 3, to be completed in 2020, will involve the demolition and construction of a new north concourse focused on terminal passenger flow reconfiguration and concessions enhancement.